The fashion extravaganza took place this weekend. The fashion cycle is undoubtedly a brutal one – designers must come up with at least four collections a year, not to mention various diffusion lines, accessories and more. That’s why we’re always impressed by just how exciting fashion week consistently is – it’s rare to see any signs of creative fatigue or boredom. Fashion weeks are always full of surprises, but one thing you can pretty much guarantee is models strutting down a runway. Well, Kim Jones of Dior Homme showed us this isn’t always the case. Instead of models walking, at the Dior show they stood stock-still and were carried by a huge conveyor belt. This, along with the grey, black and silver colour scheme, gave everything a distinctly dystopian feel. The collection has been well-received, but we’re pretty sure it was the models who enjoyed it most – there was no chance of them accidentally toppling over during this show. As the creative director of Off-White as well as the Louis Vuitton menswear line, Virgil Abloh has established himself as the darling of men’s fashion. However, he’s got himself into a bit of hot water this weekend after allegations that he’s ‘copied’ the work of other designers. 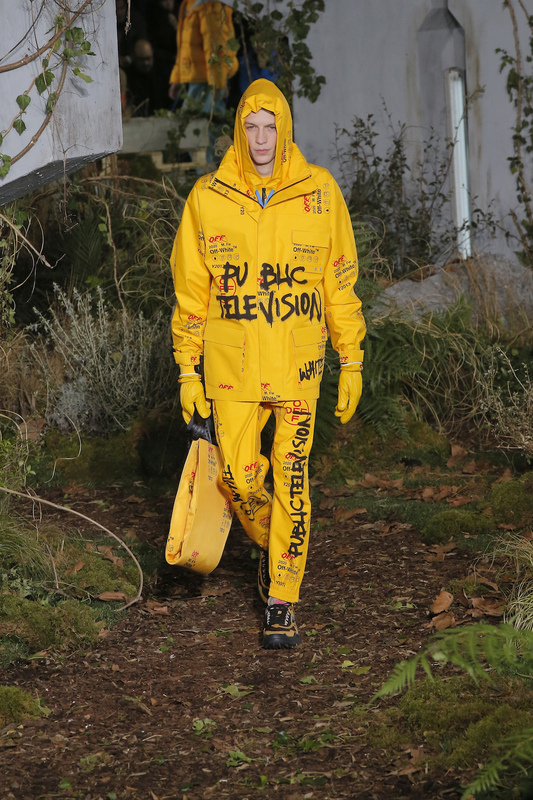 Designer Michelle Elie took to Instagram to express her displeasure at the similarities between what Abloh produced for Off-White and the FW18 collection by her son for the label Colrs – particularly the yellow jacket scrawled with writing, and the fact they both put models in helmets. 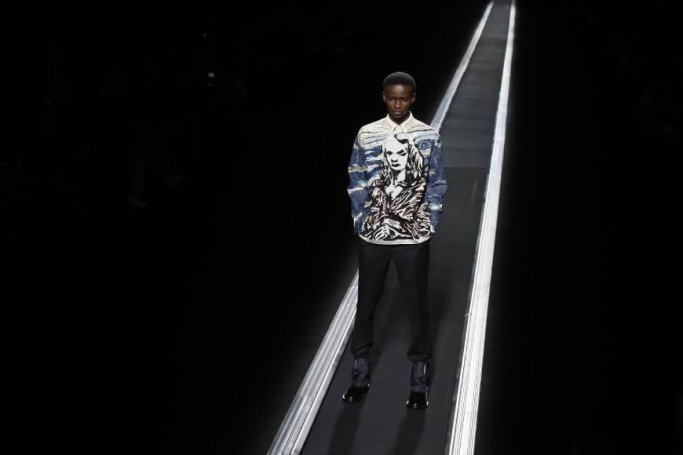 This wasn’t the only accusation levelled at Abloh – some have also noticed similarities between the flag-inspired scarf in the Louis Vuitton show to work by Pyer Moss. 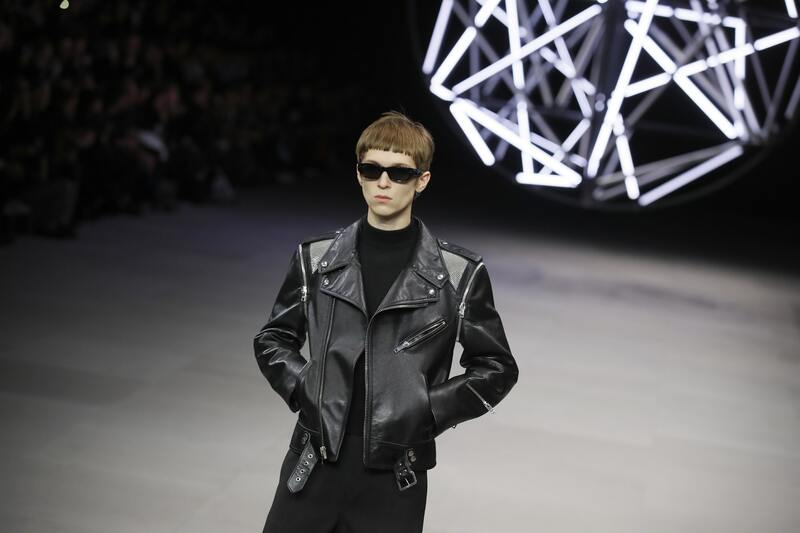 Hedi Slimane only recently took over from Phoebe Philo as creative director of Celine, and his first womenswear collection wasn’t particularly well-received. Things have only mildly improved for Slimane after his menswear show. Even though critics praised his evident skill at tailoring, many were left a little disappointed. Fashionista called it “exactly what you expected it to be”, and the Guardian describes the casting as “still relatively scant on diversity”. 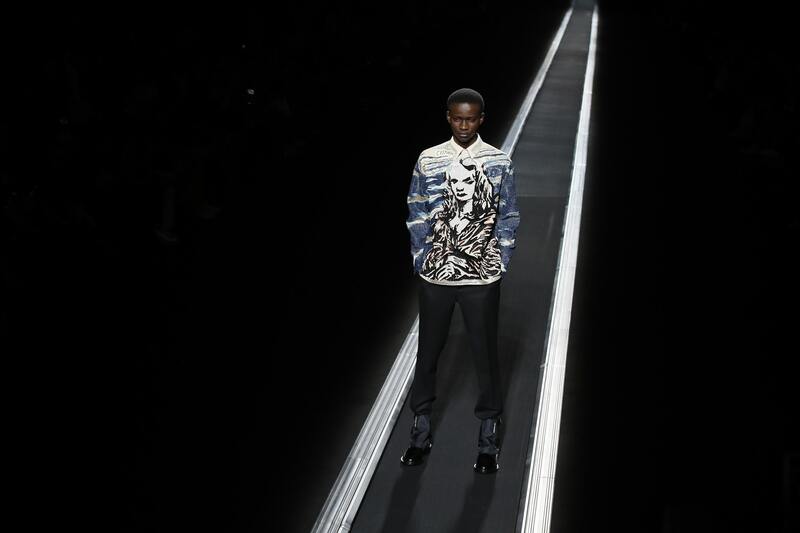 The overwhelming vibe in Paris was monochrome – the catwalks were dominated by black and white. 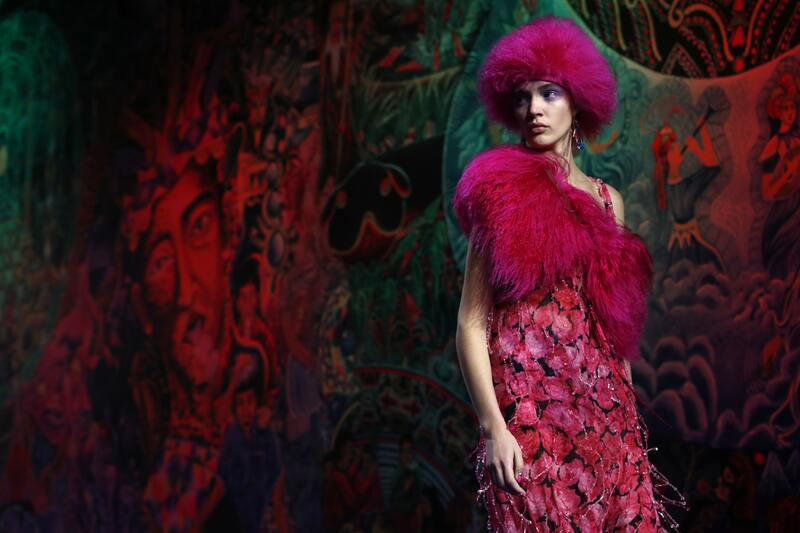 That’s what made Kenzo’s show such a delight, as it truly was a riot of colour. The collection was inspired by creative director Humberto Leon’s Chinese Peruvian roots, which explains the backdrop of murals by late artist and shaman Pablo Amaringo. The clothes themselves were also a treat, with patterns and colours galore. It wouldn’t be any kind of fashion week without some inexplicable oddities. Our favourite moment came from Thom Browne, who can be relied upon for strange happenings on the catwalk. 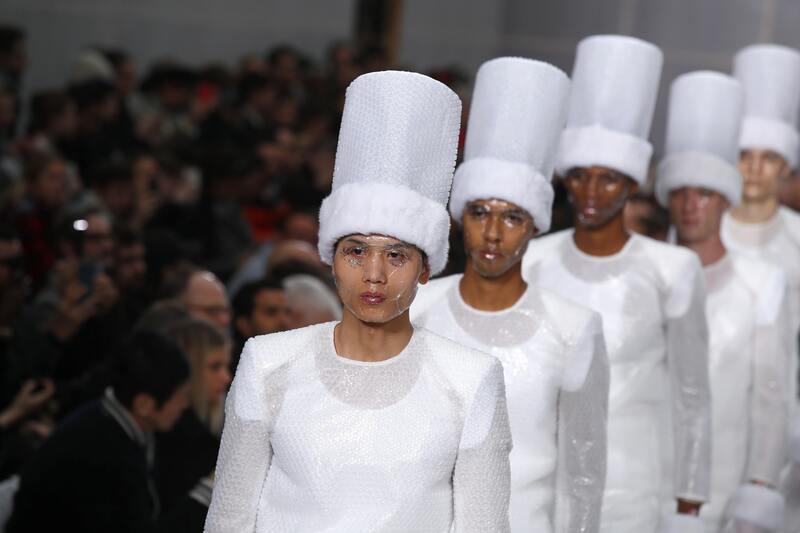 The room itself was covered in bubble wrap, and models were given the same treatment, along with what looks like chef’s hats. Are we moving away from streetwear? This was the question on the lips of every fashion editor. Indeed, it feels like the athleisure bubble is finally bursting, as instead we saw much more suiting on the catwalk. 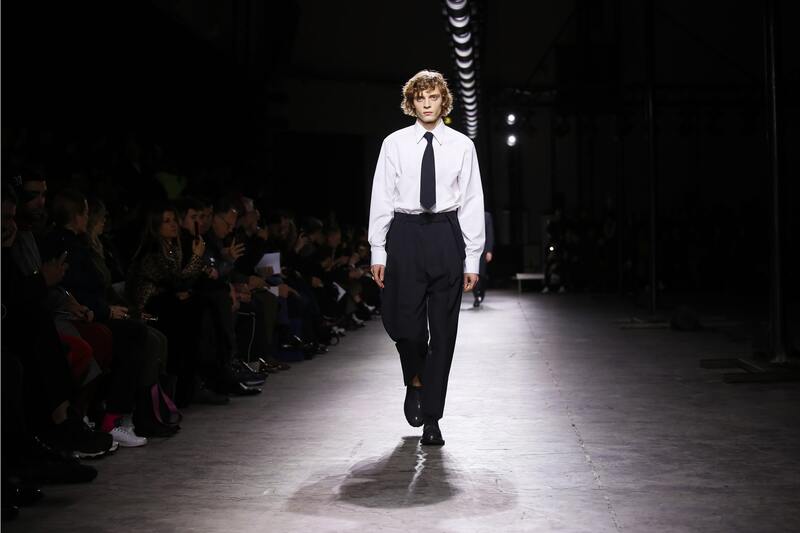 Take the Dries Van Noten show, which featured classic shirt, tie and tailoring combinations.